Never Enough Nails: Lynnderella Friday, Vol. 7! It's a little bit of a quiet Lynnderella Friday this week. I went to see Billy Joel at Madison Square Garden last night (if you follow me on Instagram, you saw some videos!). The concert was absolutely amazing, definitely go if you have the chance! But I'm glad I don't have work today because I am a tad tired! I have two gorgeous LE Lynnderellas for you today and the first is Lynnderella Deeper Than Blue. 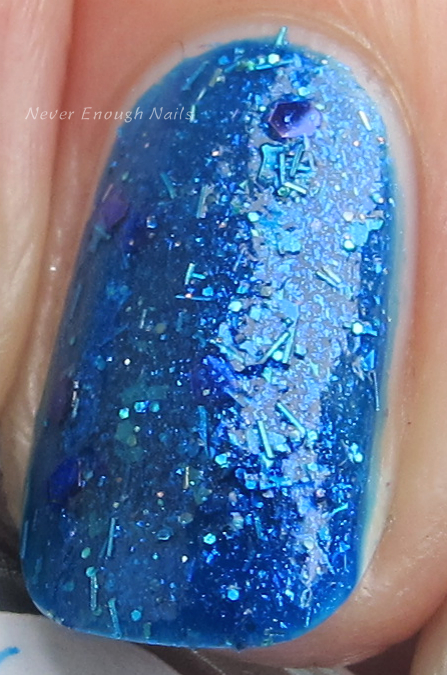 Deeper Than Blue has a beautiful jellyfish blue violet base. It contains holographic and iridescent glitters, including some some teeny bar glitters and hex glitters. The base has a nice blue-green shimmer. This is two coats of Deeper Than Blue with no based color. It's pretty opaque on it's own, but also still looks kind of juicy and jelly-like. It was really easy to apply. I also did not have any staining on my nails or cuticles when I removed this (although I haven't worn it as a full mani yet). 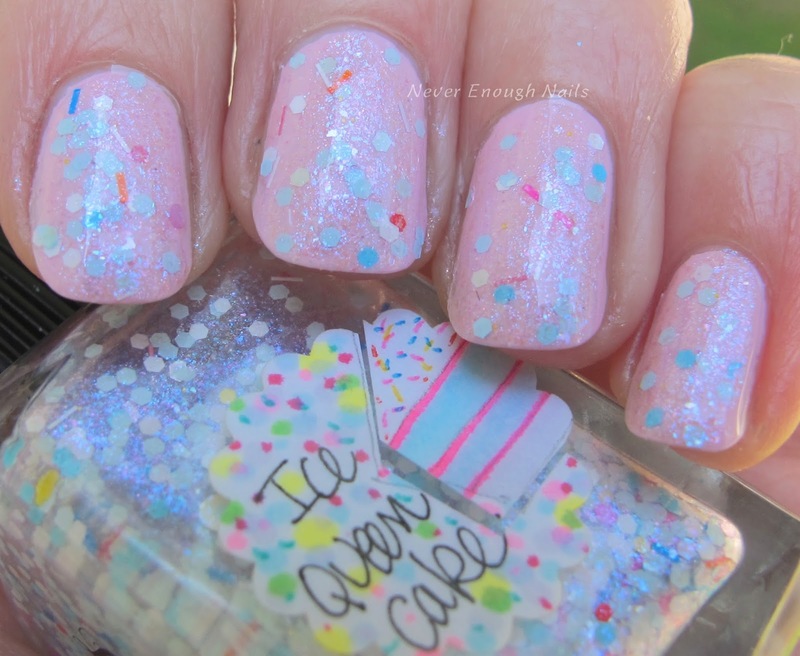 Lynnderella Ice Queen Cake is one of the cutest new polishes I've seen lately. The pink and aqua shimmered base is like frosting on a yummy little cupcake, with sprinkles of pastel hex glitter and holo microglitter. The aqua, pink and blue color palette is really soft, but fun at the same time. 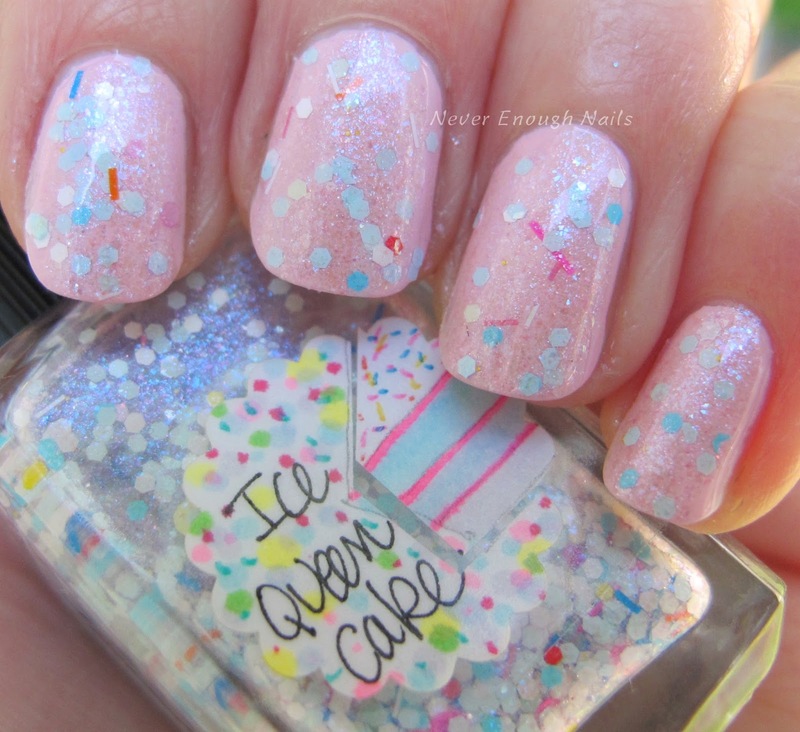 I had to layer Ice Queen Cake over a baby pink (OPI Mod About You). The combo really reminds me of a cute birthday cake! This is one coat of Ice Queen Cake over Mod About You. It was easy to apply and the shimmer covered very evenly.